Carrie Elspeth always knew that she wanted to have her own business. In the space of a little over ten years, she has gone from a little known jewellery seller to one of the market leaders, employing multiple staff and producing several ranges every year. She continues to strive for excellence and receive recognition, both in terms of awards and, more importantly, in terms of customer satisfaction. The business has grown incredibly since Carrie first opened a little studio in the rural market-town of Cowbridge, South Wales. Now occupying a large studio-warehouse in the same town, Carrie Elspeth employs 10 staff and has a team of 25 local outworkers who manufacture the jewellery to the same high standards that Carrie first implemented. Carrie still gathers beads from all over the world, choosing carefully for each new range she designs, inspired by colour and shape as she always has been. 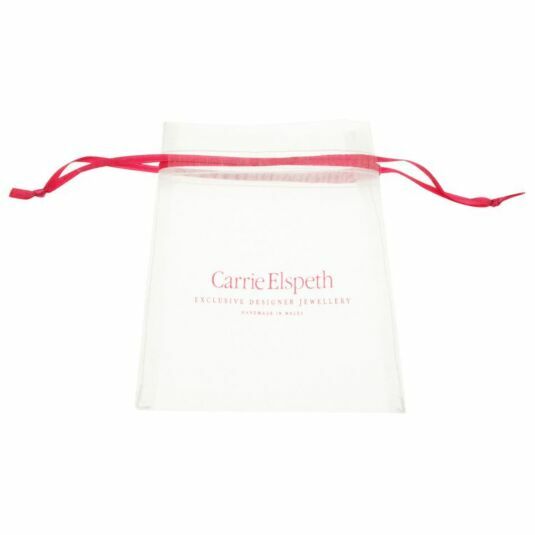 Three full jewellery Collections are launched each year, keeping shop displays fresh and the many Carrie Elspeth fans happy. Always looking to expand her ideas and repertoire, Carrie has created 'Opulence', an extravagant, indulgent, limited edition collection. The hard work and commitment from Carrie and her dedicated team has not gone unnoticed. Carrie was recently crowned winner at the Welsh Woman of the Year Awards for Best Small Business Owner, and achieved the glowing accolade of being finalist for "Best Service to Independent Retail" at The Greats industry awards. She has also won the Welsh Young Business Achiever and World Young Business Achiever in Innovation and Design awards, culminating in an invitation to Buckingham Palace to meet the Queen! Awards are a welcome boost from the industry, but what drives Carrie forward is the positive response she has always got from the public, the people who buy and wear her jewellery. With every new Collection she designs and launches, Carrie is re-invigorated and re-inspired by the comments she receives, and will continue producing beautiful, accessible, handmade jewellery as long as she can!